You may be trying to figure out how to pay back student loans, fund your 401(k), or buy a home. Maybe you’re unsure how to build wealth while educating your children and starting a business. Perhaps you’re struggling with preserving your wealth while caring for aging parents, dealing with boomerang kids, and evaluating an early retirement offer. Whatever your current situation, worrying about finances impacts your life and relationships. We can help you make the financial decisions that will make the most of what you have now and help you build a more secure, enjoyable future. Straight talk. 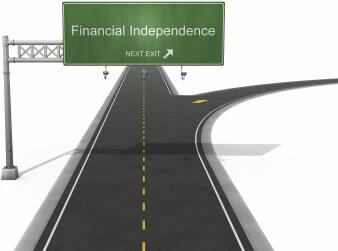 We don’t sell any financial products nor do we receive any commissions. As fee-only financial advisors, our only compensation is what you pay for our professional advice. Our complete focus is on what is best for you. An all-inclusive approach. Together we evaluate all aspects of your finances and design a strategy where each part works in harmony with the others. You’ll see that we pay a lot of attention to areas of your financial life that others often overlook or ignore. View Our Holistic Process (PDF file). Access. Life is constantly changing. For one annual fee, you can meet with us or speak to us as often as is necessary to help you accomplish your financial goals. Value for your money. We are committed to providing value that exceeds our fee. It’s a concept that is virtually non-existent in the financial planning world. But doesn’t it make sense that you should save more than you pay. The highest professional standards. We are committed to our Pledge to Clients – your assurance of receiving the ethical and professional treatment you deserve.